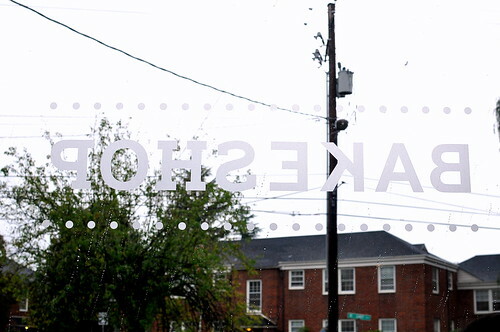 Our second day in Portland was as wet and cold as the first, but we hardly noticed while spending the morning inside Kim Boyce’s warm and fuzzy Bakeshop. 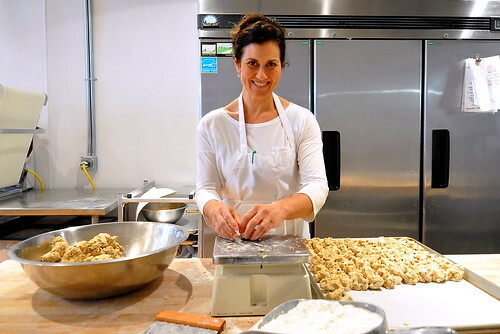 Boyce moved from Los Angeles to Portland in 2010 and opened her retail and wholesale bakery in the northeast part of the city not too long after. 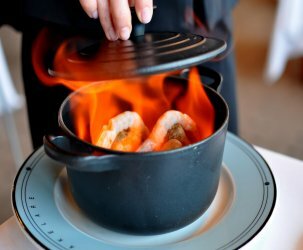 Prior to making her mark in the Pacific Northwest, she worked for years at Campanile and Spago in Los Angeles and wrote the James Beard award-winning cookbook, Good to the Grain. The specialty here is whole grain pastries. It takes a brilliant baker to transform hefty flours like amaranth, barley, and kamut into tender and light baked goods, but Kim Boyce succeeds in creating the loveliest textures and flavors. Between the four of us gals, we purchased nine goodies to devour. Each one was wholesome and superb. The figgy buckwheat scone is something of a signature item at Bakeshop, and it tasted as awesome as anticipated. 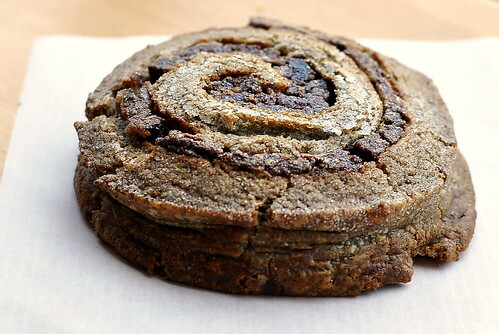 The swirl of fig butter coupled with the nutty buckwheat was nothing short of state of the art. 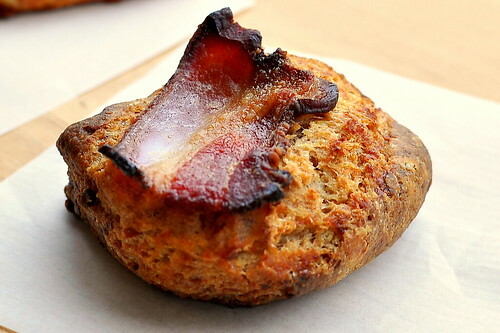 Smokey and sharp, the bacon cheddar scone definitely delivered. 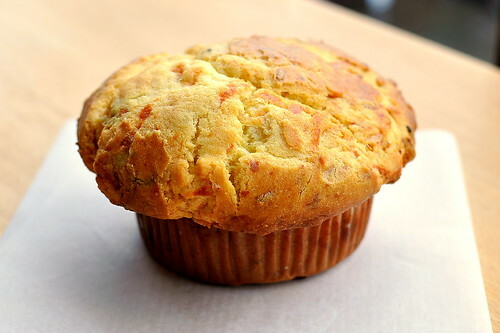 The corn and gruyere muffin was fluffy and sweet. 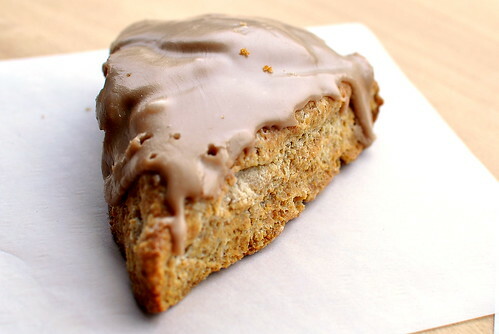 Glazed with maple icing, this whole wheat scone was healthful, hearty, and the right amount of sweet. 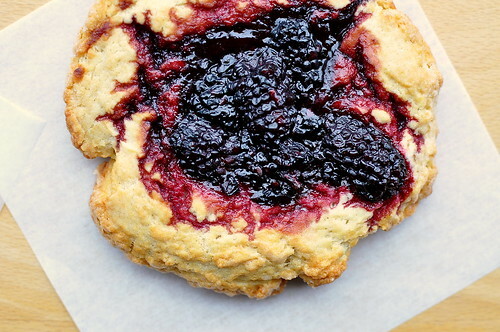 With its buttery crust and puddle of ripened fruit, the boysenberry scone was a stellar creation. Satisfying our collective savory tooth was a ricotta and leek tart. 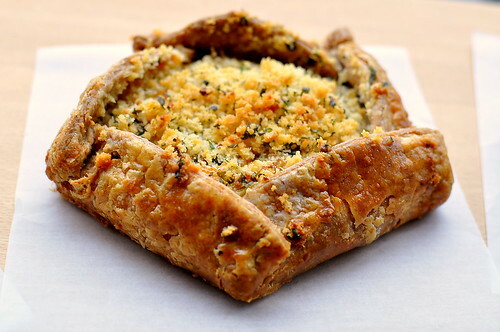 The golden and flaky crust was tops. My favorite pastry was the boysenberry buckwheat crumble frangipane puff pastry. 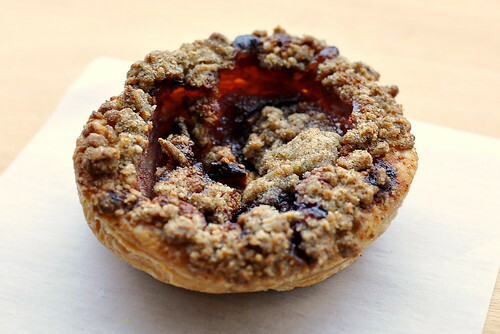 Light, flaky, and fruity, this baked good was like nothing I’d ever experienced before. 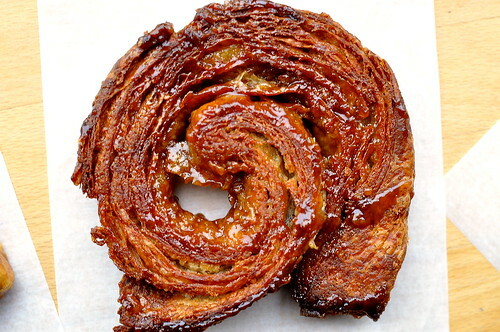 A cross between a palmier and caramel candy, the maple danish was dense and decadent. 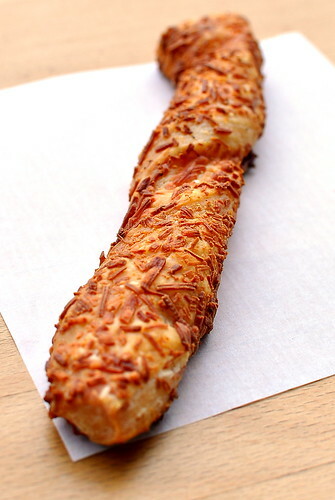 And finally, a most winning cheese straw. 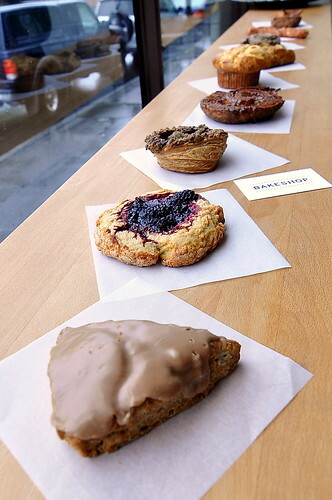 Bakeshop is located slightly off the beaten path, but it’s well worth the short trek outside the city center for thoughtful and delicious pastries. 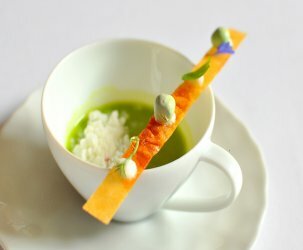 As a Los Angeles resident, I am more than a little bummed that Kim Boyce’s creations are no longer within reach. 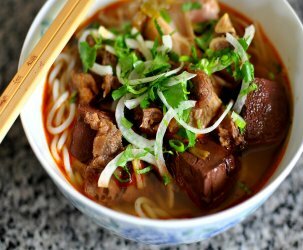 Portland—I hope you know how good you’ve got it! Daaaang. I really need to get my paws on her cookbook! I sampled the chocolate chip cookie recipe at a party once and the flavor was just unreal.